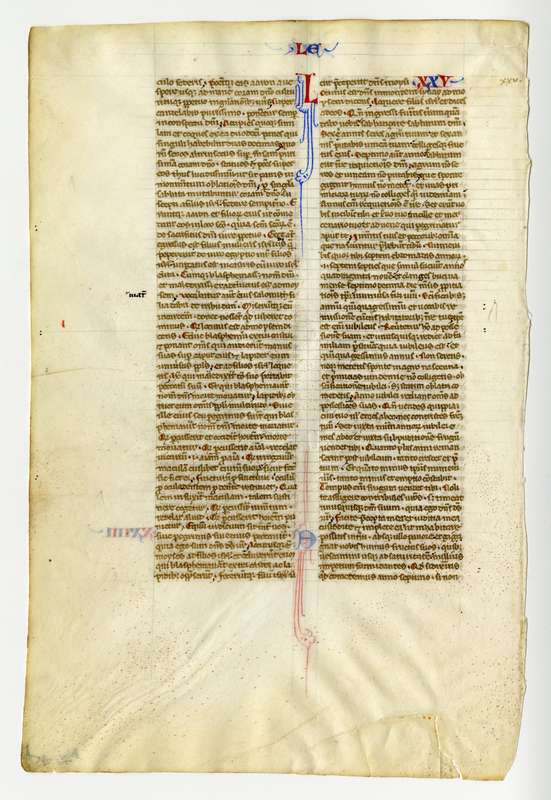 The Bible from which this loose leaf has been taken was created nearly 750 years ago. The vellum is especially thin and the script is exceptionally small (probably written with a raven's feather), making it a remarkable scribal accomplishment. Denison also owns another leaf from this same source manuscript, located in the Fifty Leaves from Medieval Manuscripts portfolio box, item 11. The text here is Leviticus 23-25. Item in public domain. Description provided by Dr. Fred Porcheddu-Engel. 300 dpi, JPEG file; 198 x 130 mm, written area 131x79 mm, double column, 50 lines, beginning "ie opus facietis meo." Loose. 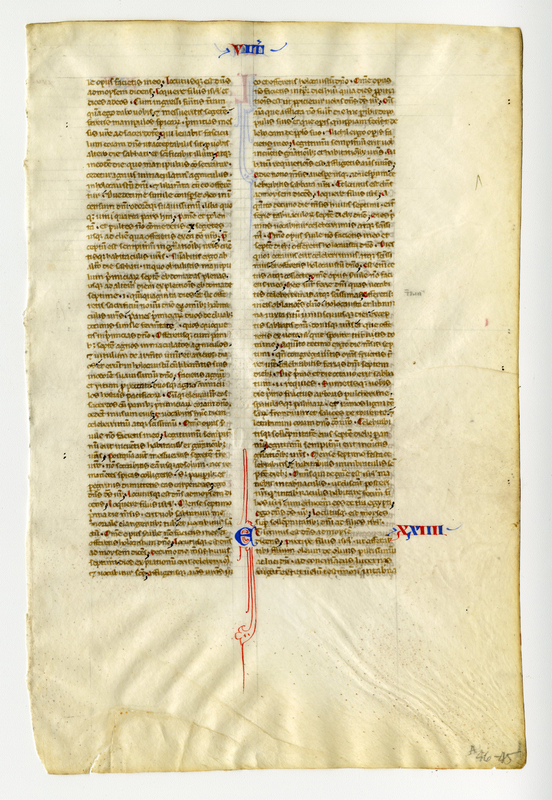 “E0100 Leaf from an Italian Pocket Bible,” Digital Exhibits | Denison University Archives & Special Collections, accessed April 23, 2019, http://exhibits.denisonarchives.org/items/show/3. For more information about the Denison University Archives & Special Collections, visit www.denisonarchives.org.